The Best Inflatable Event Rental Company in the Pacific North West. Serving most of Pierce County. Focusing on Spanaway, Tacoma, Parkland, Puyallup, Graham and Lakewood. Great question and here is why! We know your free time and leisure activities are important. At Inflatable Event Professionals we offer a stress-free rental and professional installation. Veteran Owned and Family operated event rental company located in Spanaway, WA, with a Key Emphasis on Timeliness, Professionalism, Customer Service and Safety. We are one of the best Inflatable Event Rental Companies in the Pacific North West. Our Slogan exemplifies our Core Values YOUR SAFETY and FUN ARE #1. I am convinced that you will find IEP the perfect local business to partner with in coordinating your next event. We are insured and have passed the mandatory Washington State Inspection for every unit we rent. What does the BEST Inflatable Event Rental Company mean to us? At Inflatable Event Professionals, we are committed to safety and service. Our Family owned business has a professional, caring, and safety trained staff. We choose only the highest quality inflatables that meet the latest safety standards. Our experienced staff will help you plan your next event by leading you in the right direction. We stand apart from the competition providing top quality Bounce Houses. Our inflatables are built using “Lead Free” vinyl that conforms and is in accordance with US Consumer Product Safety Improvement Act (CPSIA) and are ASTM F 2374-10 (Standard Practices for The Design and Manufacture of Amusement Rides and Devices) compliant. Don’t be fooled by cheap rentals using products containing lead-based products or which can be structurally not built for commercial use and dangerous for your loved ones. We provide you with Clean, Sanitized and Well-Maintained Inflatables for your party/event. We use environmentally safe cleaning products to clean our equipment. We take a great amount of care of our Inflatables. We clean and sanitize the inside and outside of each of our units. Delivery and safe setup and teardown included by our crew. We provide you, your family members, staff and volunteers with training on the use of our equipment and all the safety rules that need to be followed. We also provide you with written safety instructions with each rental that remain at your event. We go over the weight and safety requirements to give you peace of mind of how many kids can safely bounce, and if the adults want to jump in too you know the weight limits as well. We make sure you are educated so you can provide fun for your party. 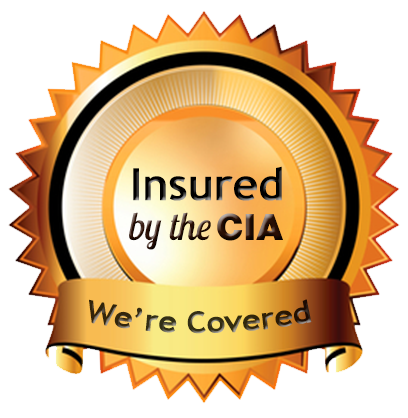 We are licensed by the State of Washington and are fully insured. We don't believe in short cuts; your families safety is first and foremost. 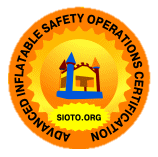 All our Inflatable units have passed the mandatory Washington State Inspection. For schools, parks, rental venues and businesses we offer additionally insured certificates. Great customer service is only a phone call or email away. We appreciate your business & your time---we will give you the facts and let you get back to other tasks while we work out your party details. We answer most calls immediately... The only time you will get voice mail is if we happen to be on another call with a customer...in that case we will get back to you once we are available. We realize your time is valuable, so we won't keep you waiting. We deliver to all functions and we can setup indoors or outdoors – in Parks for Picnics or Family Reunions, Family Get Togethers, Backyard Birthday Parties, Backyard Carnivals, School Festivals, School Carnivals, School Events, School Field Days, Elementary Gyms, Middle School Gyms, High School Gyms, Church Fellowship Halls/Gyms, Prom, Graduate Parties, Church Carnivals/Festivals, Church Picnics, Summer Camps, Vacation Bible School, Union Halls, Fire/Police Stations, Baseball Events, Little League and Softball Events, Group Festivals and Corporate Events/Picnics, Bachelorette Parties, Bachelor Parties. Contact Inflatable Event Professionals today. We can be reached at 253-353-9797 from 10:00 a.m. – 7:00 p.m. 7 days a week.